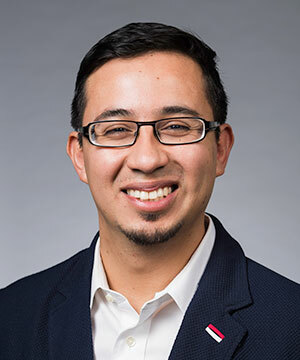 My research is centered on the experiences of enslaved people, mostly Africans, South Asians and their descendants, in the cities of colonial Mexico (New Spain) during the sixteenth and seventeenth centuries. Through their interactions with colonizing Europeans and local indigenous populations, I find that Africans (especially Angolans) impacted the delicate balance of power in a viceroyalty fearful of Black rebellion yet ever more dependent on slave labor. I am particularly interested in decentering traditional master-slave narratives by studying afro-indigenous interactions in the urban centers of Central Mexico. My research also addresses the experiences of enslaved South Asians (commonly mislabeled as chinos) in elite households, textile mills and churches. 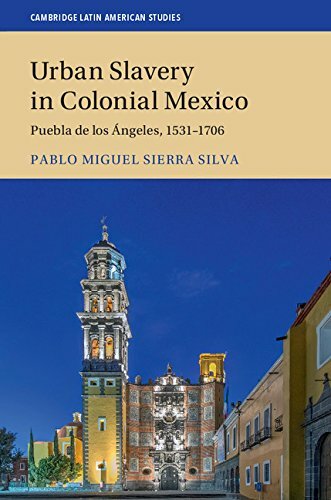 My first book, Urban Slavery in Colonial Mexico: Puebla de los Ángeles, 1531-1700 (Cambridge Press, 2018), reassesses the inner dynamics of the transatlantic slave trade to Puebla and establishes that at least 20,000 people were sold in its slave market during the seventeenth century. By focusing on three distinctly urban spaces (the textile mill, the convent and the marketplace), I propose a new, gendered understanding of slavery in Spanish American cities. Ultimately, Urban Slavery demonstrates that by the end of the seventeenth century enslaved families and their allies successfully eroded the foundations of slaveholder power in colonial Puebla. My next research project, “Veracruz, Charleston and the Pirate Raid of 1683,” examines the violent dispersal of approximately 1000 people of African descent across various Caribbean and Atlantic settlements following Laurent de Graaf’s devastating attack on Veracruz. Tracing the involuntary dispersal of this free and enslaved population to Charlestowne, Petit-Goave and other communities opens new avenues of research on Caribbean piracy, the Black Atlantic and the Spanish circum-Caribbean. I also serve as an advisor for the University's Latin American Studies minor. Please contact me (pablo.sierra@rochester.edu) if you are interested in declaring the LAS minor. For more information on the minor, please visit http://www.sas.rochester.edu/mlc/undergraduate/spanish.html#lasminor. Urban Slavery in Colonial Mexico: Puebla de los Ángeles, 1531-1706. Cambridge: Cambridge University Press, 2018. "Portuguese Encomenderos de Negros and the Slave Trade within Mexico, 1600-1675" Journal of Global Slavery 2, Vol. 3 (2017): 221-247. “The Slave Trade to Colonial Mexico: Revising from Puebla de los Ángeles, 1590-1640.” In From the Galleons to the Highlands: Slave Trade Routes in Spanish America. Edited by Alex Borucki, David Eltis & David Wheat. Albuquerque: University of New Mexico Press, forthcoming 2017. "From Chains to Chiles: An Elite Afro-Indigenous Couple in Colonial Mexico, 1641-1688" Ethnohistory 62, no. 2 (April 2015): 196-219. “The Persistence of the Slave Market in Seventeenth-Century Central Mexico” Slavery & Abolition 37, no. 2 (June 2015): 307-333. Co-authored with Tatiana Seijas.